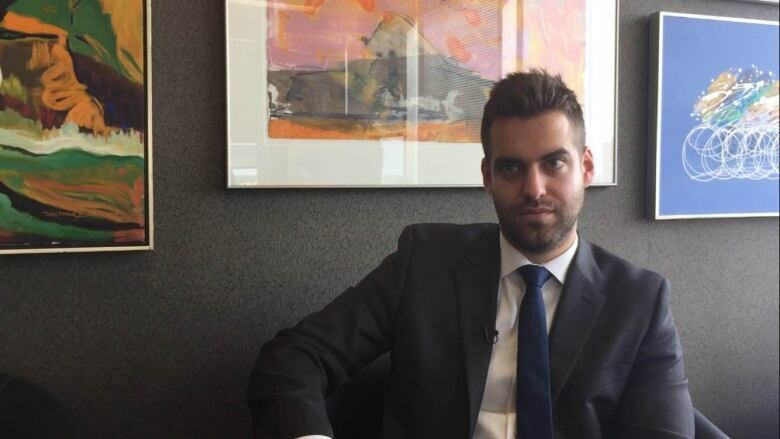 A Winnipeg lawyer is raising alarm bells about a relatively new law that allows Manitoba Public Insurance to suspend a driver’s licence without the driver ever being convicted of an offence. Bill 34 allows police to hand out notices that say MPI intends to suspend a driver's licence, and drivers have five days to book a hearing. A Winnipeg lawyer is raising alarm bells about a relatively new law that allows Manitoba Public Insurance to suspend a driver's licence without the driver ever being convicted of an offence. In December, Manitoba introduced legislation that allows MPI to take immediate action if a person is charged with a serious driving offence, including speeding over 50 kilometres an hour, racing, flight from police and other offences. 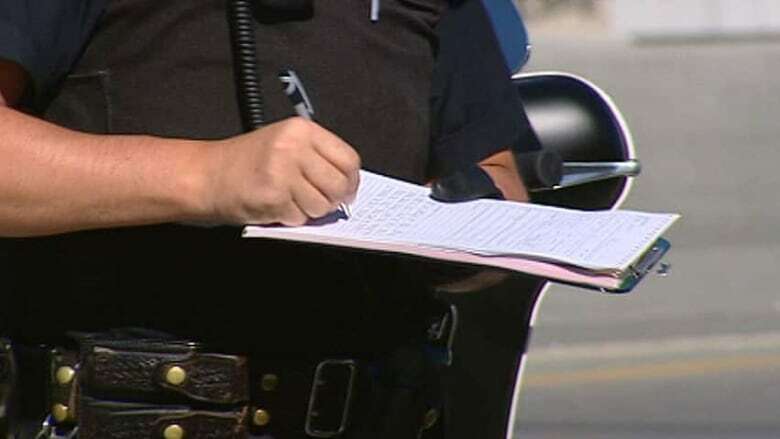 The new legislation means police are not only handing out tickets but also pink sheets that say MPI intends to suspend the driver's licence, and they have five days to book a hearing. "It's not a fair process," said defence lawyer Kristofer Advent, an associate with Gindin Wolson Simmonds Roitenberg. "They're potentially innocent of these charges laid against them, and they have to go sit down with MPI and explain these details of their offences in order to try and keep their driver's licence." Advent has received multiple calls from Manitoba motorists who have been served with the notices recently. The notice explains if a driver isn't in touch within five days, a hearing will be held in their absence to determine if their licence will be suspended or if some other action will be taken, such as mandatory driver training. The legislation, known as the Bill 34 — The Safer Roads Act, was debated late last year in the Legislature, with PC MLA Kelvin Goertzen referencing the death of a Winnipeg hairstylist who was killed by a motorist in 2012. Kendall Wiebe, 27, died after an SUV drove through the window of her workplace on Portage Avenue. The driver, who pleaded guilty to dangerous driving causing death, had been involved in 11 collisions in 10 years, eight of which he was found at fault for. One of those crashes occurred after Wiebe's death. Since the legislation took effect in December 2015, 185 serious notices have been reported to MPI by police. Of those, 184 resulted in action. "The law is intended to save lives and address the specific problem of high-risk drivers going undetected while their serious driving offences are pending in court," said Brian Smiley, a spokesperson for MPI. "We do know that there were some drivers that were trying to avoid going into the courts because our actions were pending on conviction." Advent said the new legislation infringes on a person's presumption of innocent and their right to silence. "They're being put in a position where in order to protect their driver's licence, they have to speak about something they haven't had their day in court [for] yet," said Advent. Prior to the legislation, automatic suspensions could be handed out for impaired driving, but the list of offences that could compel a driver to a suspension hearing has now expanded to include things like speeding by more than 50 kilometres over the limit. One of Advent's clients received a notice on the side of a rural road after he passed two vehicles going 150 kilometres per hour. The speed limit was 100 km/h. His licence was suspended for four months. The client was told he could appeal, but when he contacted the provincial body responsible for appeals, he was told it would be 16 weeks before it could be heard. "It gives a lot of discretion to police," said Advent, adding, "These cases haven't been borne out as to whether statements that people are making in these hearings with MPI could potentially be used down the line [in court],"
Smiley said most drivers understand the new law, and it's clearly explained when they are pulled over by police. He said MPI hearings go over past driving history as well as the alleged driving infraction. "It's all individual. There's really no, 'Set in stone.' It's very much dependent on the driving history," he said. "This is pre-conviction, but I think we should be very clear that the action that is taken is to keep our roads safe and remove high-risk drivers from the road." Smiley said prior to the legislation, some drivers would try to avoid going through the court system because MPI action was pending on conviction. Advent said drivers who are served with the notices should contact MPI immediately and depending on the type of offence, they may want to seek legal advice to determine next steps and if information provided at the hearing could later impact them in court.